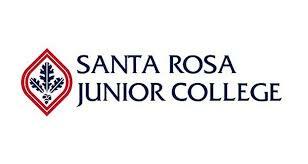 Santa Rosa Junior College is a two year, public college in Santa Rosa, California. At SRJC students can earn an associate degree and transfer to a four-year institution or train for a career in over 140 occupational certificate areas. The College also offers online programs which can be completed entirely online or in a combination with online/hybrid classes and traditional classes. SRJC is a MyCAA approved school. The College offers military, veterans, and dependents non-resident tuition exemptions as well. When you first visit Santa Rosa Junior College (SRJC), it is likely you will sense the difference that distinguishes SRJC as one of the nation's premier community colleges. SRJC is dedicated to the democratic ideal of making higher education accessible to all, and our college community works to ensure a positive and inclusive experience for students and staff alike. This is achieved by creating a dynamic learning environment and maintaining a climate that is conducive to the elimination of barriers to student success. We offer intellectual and cultural opportunities designed to maximize the academic and creative ideas, skills, and talents of our student body, staff, and faculty. Members of SRJC reflect an unwavering belief that each student is a unique individual requiring a special combination of academic opportunities, support services, career and college counseling, and peer instructional support, as delivered through broad student services that range from college preparatory classes to an unrivaled financial aid package that features the Thomas Doyle and Polly O'Meara Doyle Trust Scholarship Fund through the Exchange Bank. Sonoma County's exquisite landscapes offer diverse recreational activities close to vineyards, lakes, rivers, and the Pacific coastline. Renowned for its wine industry and tourist attractions, Santa Rosa has traditionally drawn many talented citizens to its substantial urban amenities of fine schools and colleges, business centers, general hospitals, local theatres, performing arts centers, and the Santa Rosa Symphony. SRJC offers comprehensive transfer preparatory and career training programs at dozens of sites, including two beautiful campuses in Petaluma and Santa Rosa that are located 35 and 52 miles north of San Francisco, respectively. Both the oak-studded Santa Rosa Campus, which is largely characterized by elegant turn-of-the-century brick buildings on over 100 acres, and the 40-acre contemporary adobe style Petaluma Campus, offer a distinct and welcoming atmosphere that is highly conducive to student learning and to employment.